Magento is an open source e-commerce platform developed by Varien Inc. It was completely written in PHP and was released on March, 31st 2008.It was acquired by e-bay which released Magento2 on November 17, 2015. 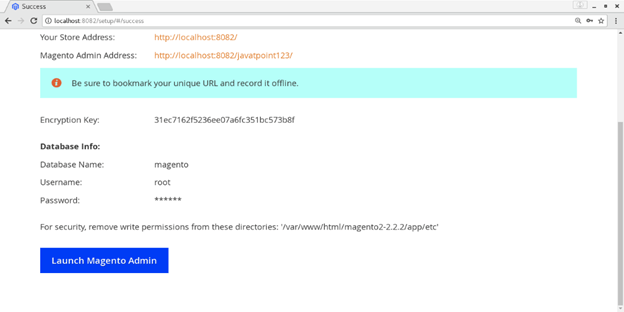 In this tutorial, we will install Magento on CentOS. Visit the official website of Magento https://magento.com/tech-resources/download and download the latest compressed source code file of Magento. Use the following command to extract the downloaded file. 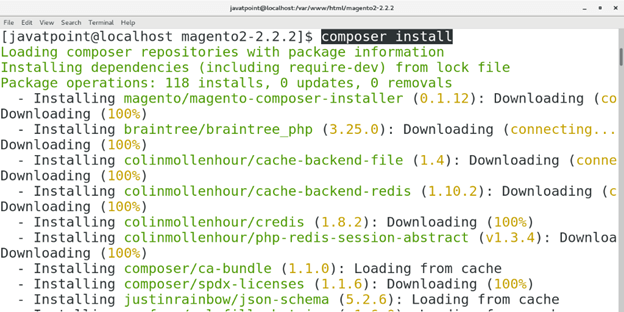 Change the working directory to the Magento directory and run the following command. 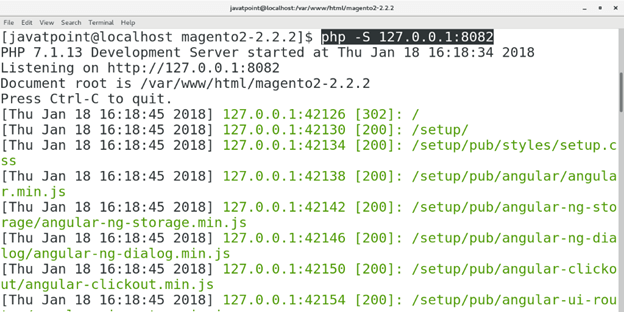 Change the current working directory to the installation directory of Magento by just typing cd magento2-2.2.2 and then execute the following command to start the PHP development server. 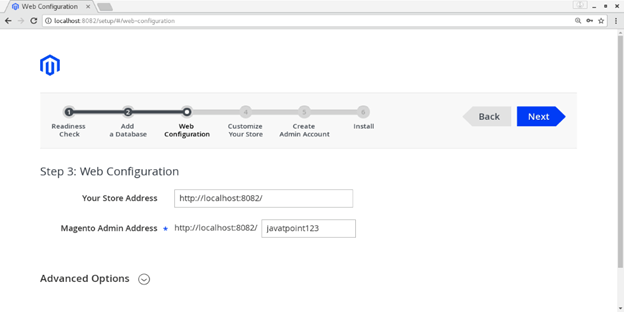 In order to install Magento on the system, we just need to access it over the browser by typing loalhost:8082 in the browser's search bar. The browser window will appear like following. 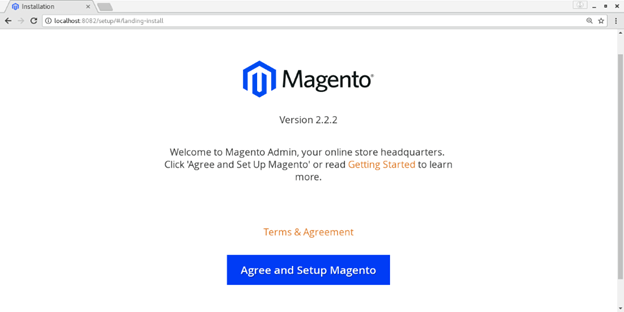 Click on Agree and setup Magento to proceed Magento installation. 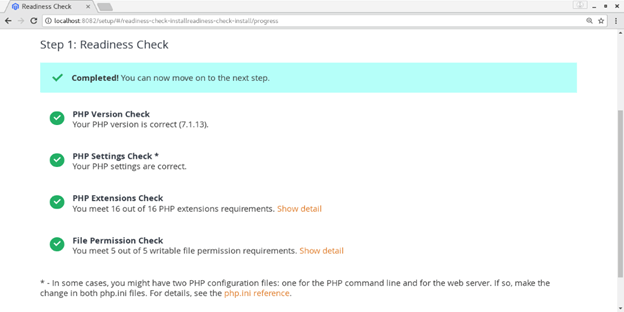 Click Start Reediness Check to let magento check the PHP version and other requirements. Now Magento has checked all the requirement which are fulfilled. Now we need to create a database named as magento in my case. 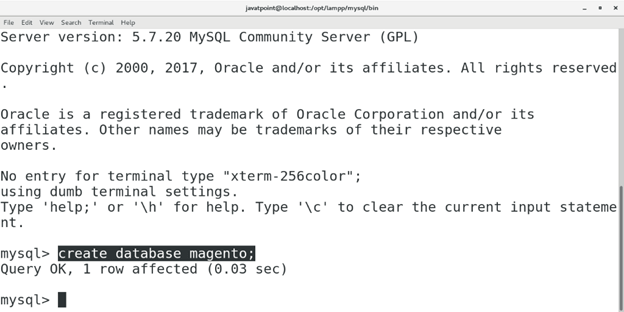 Open the MySQL shell and type create database magento; to create the database. This part of the installation prompts us to fill all the details about the database which has just created. Enter all the details such as database server username, password and database name, click Next. 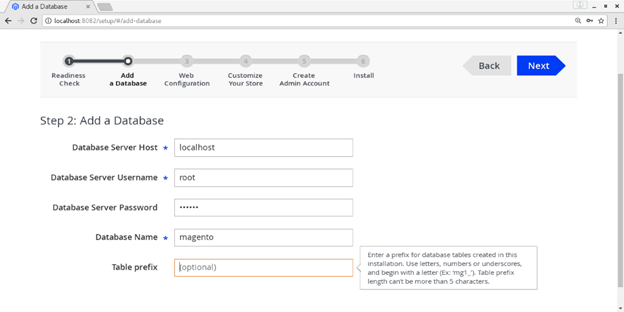 This step prompts us to setup the web configuration such as store address and magneto Admin Address which should be unique. Choose the Address (I have chosen javatpoint123) and click Next. 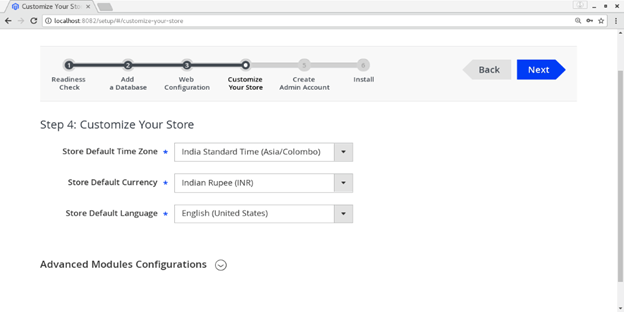 Now, we have to customize our website by just setting the default time zone and currency details. Set all the desired details and click Next. Fill out all the desired step which are asked in this step such as New Username, Email and Password. 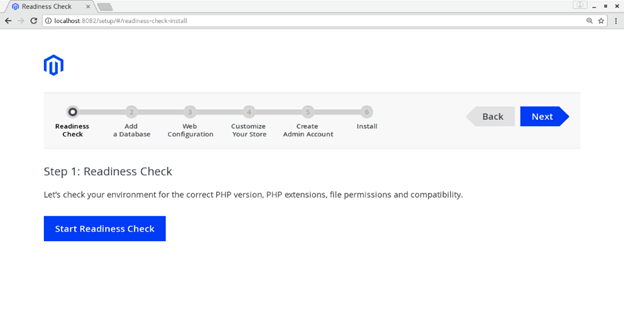 Click Next and we will get the setup ready for Magento Installation. Click Install Now to start the installation process. 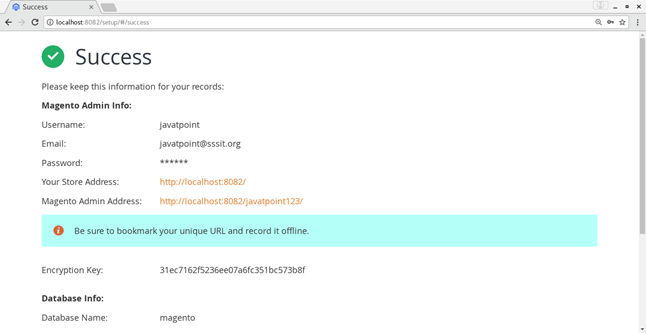 Now, Magento has been installed successfully on our CentOS. 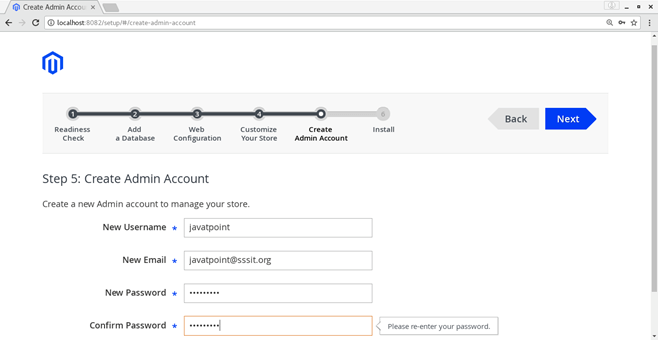 Following page shows all the database info, store address and login credentials. Hence, we have installed and get started with Magento. Click on Launch Magento Admin to launch the Application.